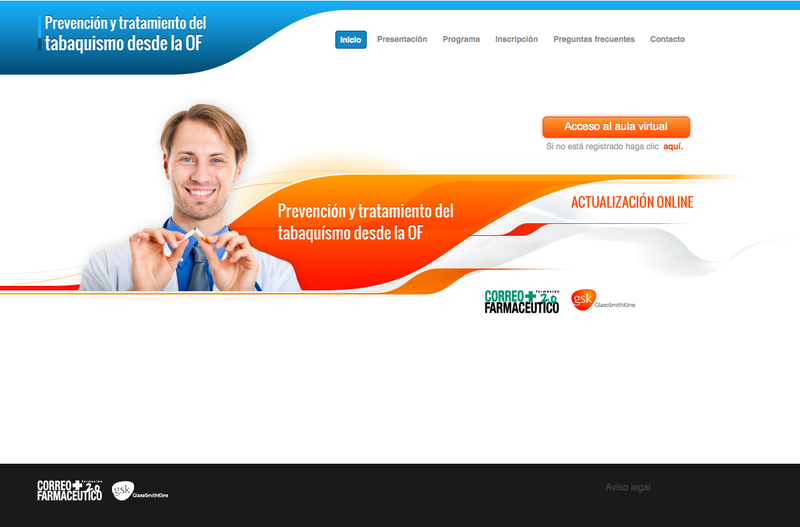 Cliente: Unidad Editorial para GSK. GlaxoSmithKline is one of the world’s leading pharmaceutical companies in research and health care in more than 140 countries around the world. As a complement to its brand positioning strategy , from Contidos Dixitais we developed an information web site on smoking prevention as the pharmacy is a health center closer The user, therefore, presents great potential to promote the health of the population. The pharmacist has a fundamental support and motivation role to promote the smoking cessation of his patients and for this reason GSK launched this project whose purpose was to make the pharmacist aware of the important role that can play in the prevention, diagnosis and treatment of smoking, as well as Train him in the skills necessary to develop these actions from his OF with the population he attends. 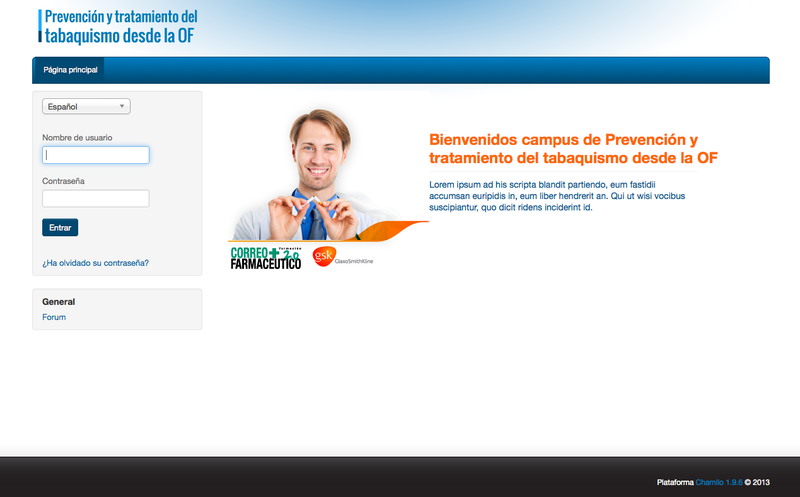 The micro-website of this project counted on complement with a Chamilo virtual campus in which the contents were distributed, the tutorials were carried out and the final tests were done type test for more Of 2,100 pharmacists .